The Great Gatsby is an interesting window into the fictional lives of those who lived on borrowed money back in the 1920's. Even to this day, people seem to imagine that the early 1900's were a golden age of prosperity for Western Europe and even more so for the young America, yet this was all built on the backs of others. The Great Gatsby really emphasizes that fact by presenting to us a world of young and idle people who simply live from party to party, stressed even further by the fact that Gatsby's entire public life is a mere orchestration to achieve a certain end. 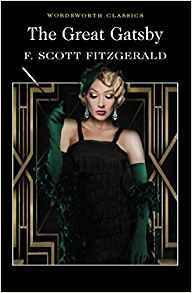 The story itself is reasonably straightforward and focuses around the characters of Gatsby himself, Tom and Daisy Buchanan, Nick Carraway (who is also our narrator) and Jordan Baker. They all meet together in the fictional towns of East and West Egg on the not so fictional Long Island, and generally manage to be quite mundane around each other except for when they go to Gatsby's parties. Here we are given rumor and scandal, stories of the past and hopes for the future, yet once it's all over and everyone departs (typically much worse for ware) we are left with a handful of empty souls desperately searching for a real purpose to their existences. Since it is well known that The Great Gatsby was very much inspired by Fitzgerald's own experiences of the party lifestyles in the same decade, it can be safely assumed that he was not very impressed by what he saw. This book is above all else a warning, as valid today as it was then. Life is a beautiful and precious thing which can be lost or turned upside down in a mere second. Gatsby's rise and fall demonstrates clearly the fragility of such an environment and how vapid the creatures around it are. The American Dream also features very heavily as a theme here but not as positively as you may expect from this decades slice of Americana. As previously mentioned, much of the Western luxury of life has been built upon the backs of others while creating certain expectations of mobility and class in others. Fitzgerald is clearly aware of the perils of this system and The Great Gatsby nearly yells out the message; it is a deception! The Great Gatsby is not a long book to read, but certainly a worthwhile one. It is the perfect example of this particular slice of history told from the perspective of the lost but wealthy upper middle classes of America. It gives us real cause to find perspective in our own lives too and realization that what we might imagine to be a life of luxury is actually stained with the neglected efforts of others. I do not know if this was part of Fitzgerald's intended message, but my takeaway from the novel is that it is much better to have a little that is truly yours and well deserved than to simply receive hand downs from the work of others when you are more than capable of creating something worthwhile yourself. What's more, do not deceive those around you for your own profit, or you will find yourself betrayed and deceived. It's also free to download on Kindle.